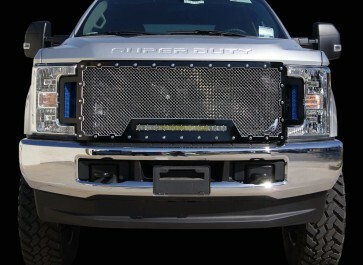 ...and features a 19" curved light bar mounted perfectly to match the original OE truck, front-end curvature. BRUTE: This 3/16", precision laser cut BRUTE frame was designed by Ablaze, to match the head of the real stainledd ex bolts. The polished bolts are assembled on to the frame and oriented to go parallel with the curvature and cut-out of the frame. MACHINING PROCESS: Our mill CNC process used for our frames has been designed by Ablaze. At an approximate 1/8" mill-cut, a chamfer is precisely amended all around the inner edge of our 3/16" Brute frames. After machining on the frame is complete, it is then powder coated a high gloss clear to prevent aluminum from oxidizing and to maintain the intense finish of the chamfer edge. SIDE VENTS: These exquisite side vents our our latest innovation, adding a unique defined look to the full replacement grille. Having our powder coating in-house, custom finish is available which includes red and blue. ASSEMBLY: The bolts used to achieve the studded look, are what holds the grille components together. We use 3/8" button head, stainless bolts to secure the frame and mesh in place. INSTALLATION: When designing, we also take into consideration installation, to make it simple and reinforced. The stainless bolts featured are also used for a secure and sturdy installation onto your truck. Once OEM grille shell is removed, this full replacement grille installs with custom brackets directly onto original mounting points. 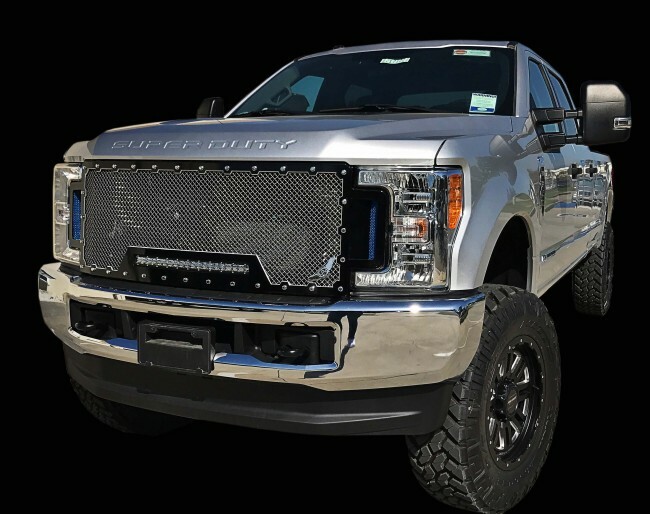 Giving you a simple installation procedure, a sturdy and enforced mount, and a one of a kind look for your Super Duty. WARRANTY: We know you do not want to install an item that is inferior in any way to OEM standard; therefore we back our products with an amazing comprehensive 2-year warranty on finish and 5-year structural warranty. 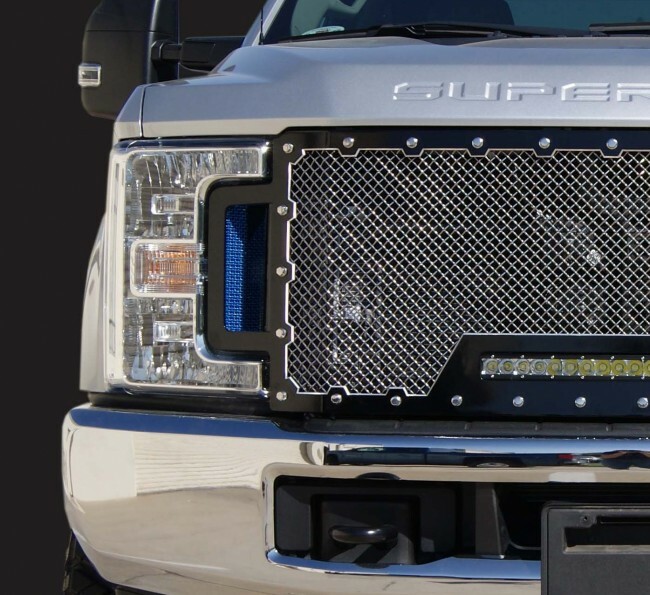 All powders used to finish our grilles are by local and recognized suppliers (Axalta, Cardinal, Prismtic, Tiger Drylac) therefore don't worry about your grille discoloring/fading, rusting, peeling, flaking, or any of the typical misdemeanors.... WE HAVE YOU COVERED!! All of our products are sandblasted and coated with primer, prior to any finish. With this kind of support and quality control, you can rest assured you are buying one of the best brands in the industry! 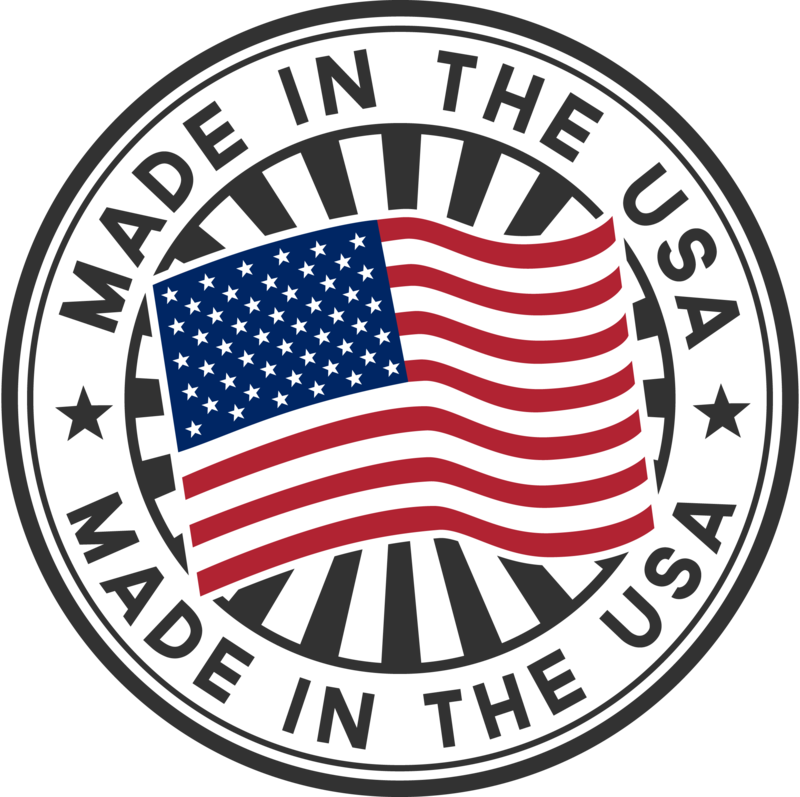 100% MADE IN THE USA: ALL OF OUR PRODUCTS ARE DESIGNED, MANUFACTURED, FINISHED & ASSEMBLED IN NORCO, CA.